Holiday home just a few steps from the beach, upstairs, in the village of Gutturu de Flumini (Marina di Arbus). Panoramic terrace with an amazing view to the sea. You can enjoy the view of beautiful sunsets. Surrounded by private garden, equipped with all comforts. 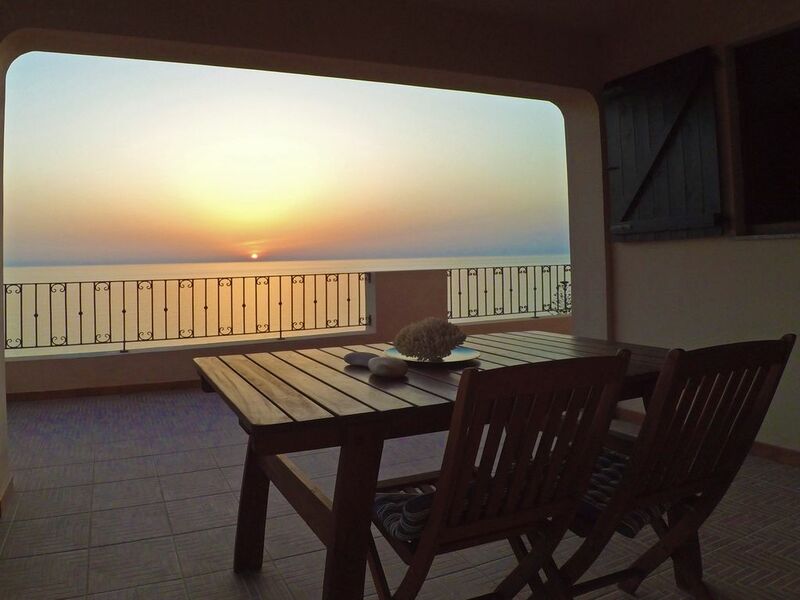 Location suitable for sea, relax and nature lovers. From here you can reach of the Piscinas dunes, the beaches of the Costa Verde and the center of Torre dei Corsari, as well as the Montevecchio mining center. What makes our house unique is the large terrace with an amazing view to the sea. Here you can relax in the sun or shelter in the shade, you can have lunch and dine by enjoying the blue of the sky and the sea. The interior spaces are comfortable, well-exposed, airy and tastefully decorated: a master room with the double bed and a wardrobe, a double room, a bathroom with bidet and shower, the kitchen fully equipped with fridge, microwave and oven, and the living room with TV. The courtyard, surrounding the house, also has a sheltered shower on the back. Guests can enter through a gate shared with the ground floor apartment and a private staircase. For any needs, me and my family will be available, also for any advice and directions on what to visit in the area. The climate in Sardinia allows you to enjoy the stay from April until October. Your stay will be characterized by the tranquility of the days. Beyond the beautiful beaches of the Costa Verde (means Green coast) and the highest dunes in Europe (Piscinas), you can decide to visit the surrounding area: you can immerse yourself in wild nature with the chance to see some Sardinian deer and others wild animals, you can discover the mining history of the Geominerary Park of Sardinia (Montevecchio - Ingurtosu), you can go surfing, hiking, trekking or mountain biking alone or by organized tours. You can also discover the tasty sardinian food and wine by visiting the farms in the area. We will be happy to advise you. On request, two bicycles can be used for free. The accommodation we offer is located in the village of Gutturu de Flumini in the Marina di Arbus. It is 30 minutes by car from the nearest urban centers of Arbus and Guspini, 1h30' from the city of Cagliari and about 1h from Oristano. The mining centers of Montevecchio and Ingurtosu are about 20 minutes by car. In the summer months there is a bus service that links Costa Verde to the urban centers. You will need a car. A safe parking is in the street just below the house. During summer the nearest shop is about 5 minutes from the village, you can go grocery shopping in Arbus or Guspini supermarkets. Die Ferienwohnung mit fantastischer Terrasse und unbeschreiblichen, unverbauten Meeresblick war außergewöhlich sauber, geschmackvoll und mit Liebe eingericht und großzügig geschnitten. Erholung pur ist hier garantiert. Wer Ruhe und Stille liebt ist hier genau richtig, wir haben die Zeit sehr genossen. Die Gastgeber Marco, Maria und Ihre Tochter waren herzensfreundlich, hilfsbereit, jederzeit ansprechbar und über alle Maßen gastfreundlich. Toll! Schöne Ferienwohnung! Sehr nette Vermieter! Wir hatten hier einen wunderbaren Familienurlaub und haben uns sehr wohlgefühlt! Die Ferienwohnung ist sauber, gut ausgestattet und schön eingerichtet. Tolle Terasse, auf der wir wunderschöne Sonnenuntergänge hatten. Sehr nette Vermieter! Alles in allem können wir das idyllisch gelegene Haus, seine Ausstattung, den herrlichen 180-Grad-Panoramablick aufs Meer (von der sensationellen Terrasse aus) und nicht zuletzt die sehr, sehr freundlichen und stets hilfsbereiten Vermieter Marco und Maria, die im nahegelegenen Städtchen Arbus wohnen, wärmstens empfehlen!